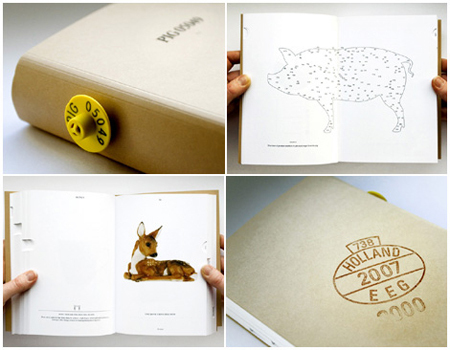 Dutch artist Christien Meindertsma made this beautiful book about all the products that were made from one pig, nr. 05049. She spend 3 years following all the body parts of this pig around the globe and documented all 187 end products at their true scale. 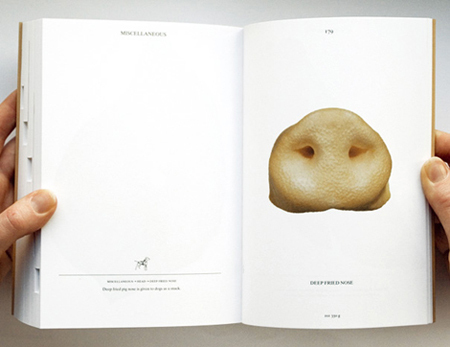 The book is classified by the pig’s bodyparts, for example one chapter describes all the products that were made from the nose of pig 05049. The content and structure of the book are logically following the initial choice of the artist. PIG 05049 reveales the hidden realities of our modern world. Very refreshing. It remindend me of the book Exactitudes by Ari Versluis & Ellie Uyttenbroek. 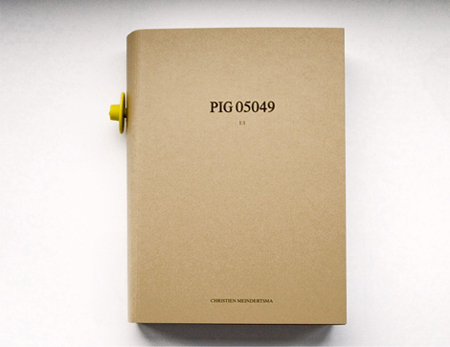 PIG 05049 shows that it is very helpful for an artist to work within boundaries, especially when these boundaries are real and not just metaphysical. Limitations make creative solutions possible. If you wonder were all the ingredients from a package of chewing gum come from and your initial research shows that one ingredient comes from a pig, you could start wondering what else is made from this pig? If you than dare to limit your research to this one pig and you are ready to spend 3 years following all body parts around the globe to document all the end products, you can truly call yourself an artist. This requires talent, guts, faith and total commitment, but that’s not what makes this work exceptional. The key to the quality of this work is the choice to work within the bounderies of a single pig.